At one point, the only credit cards you really saw were the brow-raising charge cards granted to business executives and other elites who could be trusted with “the company card.” These days, most Americans have at least one personal credit card, with the average adult carrying two to three cards each. This is hardly surprising, of course, given that credit cards are not only convenient and arguably the most secure payment method, but they can also provide valuable perks like purchase rewards and cardholder discounts, and they help build credit (when used responsibly). Moreover, the sheer volume of personal credit cards on the market today means that nearly anyone can find a credit card that suits their individual needs. Indeed, whether you want a cash back card or a credit-builder, you can likely find a personal card that hits the mark. With literally hundreds of personal credit cards out there, it’s fairly difficult to dub any one — or three — as the best personal card. Furthermore, personal credit cards are, well, personal; the best card for you will depend on your needs and wants, and may well vary each year. All that being said, most of the best personal cards will tick the same boxes, such as providing valuable purchase rewards for spending in categories you use every day, like dining and gas. A good personal card should also have a reasonable annual fee, a $0 Fraud Liability policy, and an easy-to-use mobile app for quick balance checks and spending alerts. 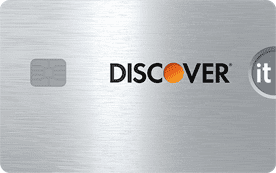 Although frequently considered to be a travel credit card, this pick can offer a lot of value to most consumers with its broad bonus rewards categories that offer 2X points per dollar on travel and dining, which includes everything from restaurants and take-out meals to rideshares and parking fees. The annual fee isn’t ideal, but the signup bonus has a potential value in the hundreds of dollars. Points can be redeemed for travel at a rate of 1.25¢ per point, or transferred to a hotel or airline partner where they can get even more value when redeemed wisely. If you’re looking for a simple cash back card that still packs a lot of rewards punch, this may be your winner. Cardholders earn an unlimited 4% cash back on dining and entertainment purchases, the latter being a somewhat rare — but quite useful — category that includes things like movie theaters, sporting events, amusement parks, and concerts. Cardholders also earn 2% cash back at grocery stores and 1% on everything else. The annual fee is waived the first year, and the big signup bonus can help you break even for years even after the fee kicks in. 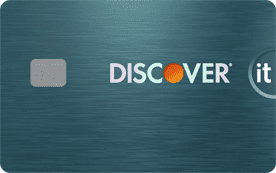 Cash back never expires and can be redeemed as a statement credit. While some of our top picks waive the annual fee the first year, cardholders looking to skip the fee entirely — without giving up on rewards — should consider this option. Users can earn an unlimited 3X points per dollar on both dining and travel, including gas station purchases, as well as triple points on select streaming purchases. New cardholders can not only earn a decent signup bonus, but they’ll also enjoy an introductory 0% APR deal on new purchases and balance transfers. Wells Fargo Go Far Rewards points can be redeemed for a variety of things, but they retain a fixed value of 1¢ per point no matter how you redeem. The information related to Wells Fargo Propel American Express® Card has been collected by CardRates and has not been reviewed or provided by the issuer or provider of this product or service. Cash back is the currency of choice for cardholders who don’t want to waste time trying to decipher the best ways to transfer and redeem complicated points or miles. Rewards earned with cash back cards are most often redeemed directly as a credit card statement credit, making it easy to put your cash back toward nearly any card purchase. In general, you’ll find two main types of cash back: unlimited and bonus. Unlimited cash back cards tend to offer one flat rewards rate for every purchase, regardless of type, while bonus cash back cards offer a higher rewards rate for specific category purchases. Regardless of the type of cash back they earn, our favorite cards all come without annual fees and offer extra perks like intro-APR deals. This no-annual-fee card is a low-maintenance option that earns the same 1.5% cash back on every purchase, everywhere you use your card, giving you no categories to track or activate. New cardholders can enjoy a signup bonus and a modest introductory 0% APR offer on new purchases and balance transfers (transfer fee applies). Although this card has a lot going for it — like no annual fee, a competitive introductory 0% APR offer on new purchase and balance transfers (transfer fee applies), and a unique signup bonus that matches all of the cash back you earn in the first year — it’s the 5% cash back bonus categories that put it on many lists of top cash back cards. Earn 5% cash back on up to $1,500 in bonus purchases each quarter you activate, and you’ll get a new bonus category every three months. 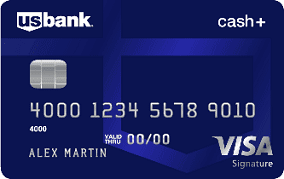 The U.S. Bank Cash+™ Visa Signature® Card is one of the most customizable rewards cards available, allowing users to select their own cash back categories. Pick two 5% bonus categories and one 2% bonus category each quarter. Bonus category options include 12 merchant categories, including fast food, cellphone providers, select clothing stores, and home utilities. Plus, the card charges no annual fee and comes with a cash back signup bonus. Whether you’re on the road daily or travel just once a year, a good travel credit card can not only help you earn your way to free airfare and hotel stays, but it can also help you save with extras like trip delay insurance and Global Entry membership credits. Most of the major travel rewards cards offer transferable points and miles that can be turned into frequent flyer miles or hotel loyalty points, giving smart users the opportunity to get 2¢ per point or more out of their rewards. Our top picks represent three of the more popular programs, blending value with versatility to suit many types of travelers. Although this card has more competition than ever for the top travel card spot, it’s still highly regarded in the world of personal travel cards. Cardholders can earn triple Ultimate Rewards® points on travel and dining purchases, plus unlimited 1X point per dollar on everything else. The card does have a steep annual fee, but the annual $300 travel credit neatly cuts down the effective fee, and the big signup bonus is worth hundreds even if you don’t transfer your points to one of Chase’s many travel partners. This card is one of the only cards that offer a flat travel rewards rate — users earn unlimited 2X miles per dollar on every card purchase — while also providing the option to transfer points to a host of airline travel partners. The annual fee is waived the first year, and the signup bonus provides a good foundation for some free flights. 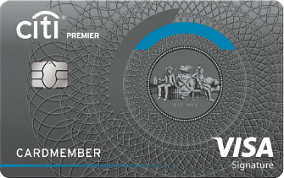 The Citi Premier Card not only rewards you for travel — with a whopping 3X points per dollar, including on gas — but the card also gives you double points for many of the activities you enjoy while you’re traveling. In addition to big rewards rates and a huge signup bonus, this card also waives the annual fee for the first year. ThankYou® Points can be redeemed directly for travel through Citi’s portal, but the best value will typically come from transferring your points to one of Citi’s airline partners. On the whole, student credit cards are, hands down, some of the best starter cards you can find. To start, student cards are very easy to qualify for; so long as you meet the legal requirements for your own credit card — i.e., you are 18 or older and have either an independent income or a cosigner — and you’re, well, a student, you can typically get a student card. Moreover, the top student cards, including our picks below, come with all the perks and benefits of your typical personal credit card, including competitive purchase rewards. Student cards rarely charge an annual fee, and some of the best cards even come with a signup bonus. The non-student version of this card is a top pick for personal cash back cards, and this student card has even more going for it. You’ll get the same rotating bonus categories that give you 5% back on up to $1,500 in bonus purchases each quarter you activate, the same Cash Back Match new cardholder bonus, and the same $0 annual fee — plus no minimum credit history requirement and the ability to earn an annual Good Grades Rewards. 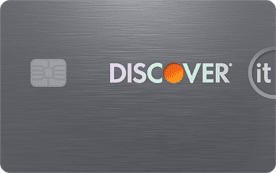 This card has many of the same fringe benefits as Discover’s other student card, but with a rewards setup that may appeal to those who don’t like the idea of rotating rewards. Instead, cardholders for this option earn 2% cash back at gas stations and restaurants (on up to $1,000 in combined purchases each quarter), with the same unlimited 1% cash back on non-bonus purchases. The Bank of America® Cash Rewards for Students is another student card with all the bells and whistles of its non-student version, including your choice of 3% bonus cash back category from a list of six options. In addition to some pretty good purchase rewards, cardholders can earn a competitive signup bonus and get a free FICO credit score each month. And the card doesn’t charge an annual fee. For many consumers, the term credit card is synonymous with debt — and they’re not entirely off the mark. If you don’t pay your credit card in full each month, you’ll get charged interest on the balance you carry over. Given that the average credit card has an APR between 15% and 20%, those fees can get expensive in a hurry. The easiest way to avoid interest fees is to pay your balance in full before the due date every month. The second-easiest way is to use an introductory 0% APR offer to enjoy interest-free purchases or balance transfers. Many great personal cards come with intro-APR offers, and the top offers give you well over a year of 0% APR. Although this card doesn’t have much in the way of rewards — and by “not much” we mean “nothing at all” — new cardholders can receive an introductory interest rate of 0% for 18 months (18), plus a reduced (but not waived) balance transfer fee. Transfers must be made within 120 days to qualify for the intro rate and fee. Another card that offers an introductory 0% APR deal for both new purchase and balance transfers, this card is obviously designed for the latter. However, the $0 annual fee, competitive regular APR, and valuable purchases rewards all add up to a card that you can keep in your wallet well after your transfer is paid off. 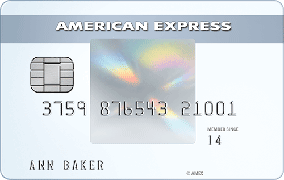 The Amex EveryDay® Credit Card packs a lot of savings potential. The no-annual-fee card offers 0% APR on both new purchases and balance transfers for 15 months. What’s more, the offer comes with a waived balance transfer fee. Cardholders who use the card for new purchases can also earn a signup bonus. If you’re looking for a balance transfer card, keep in mind that transfers need to be requested within 60 days of applying for them to be eligible for the reduced rate and fee. Often, fair is a good thing; we like fair weather, fair verdicts, and fair maidens. Unfortunately, having fair credit (usually a FICO credit score between 580 and 669) is a little less ideal — except, of course, when the alternative is bad credit. When it comes to personal credit cards, fair credit often means you’ll be on the bottom tier of the prime marketplace. In other words, most consumers with fair credit can qualify for an entry-level unsecured card from a major issuer, rather than needing to turn to a subprime issuer. Our top picks even include some options for purchase rewards, though you’ll usually pay an annual fee. 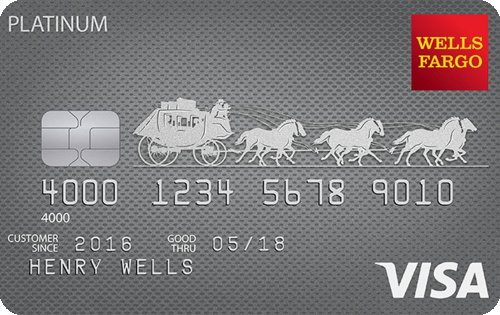 A pretty standard starter card, this option is a good pick for users who want to build credit — and not much else. It doesn’t offer purchase rewards or a signup bonus, but it also doesn’t charge an annual fee, so you can keep it in your wallet indefinitely as you continue to build credit. The APR is definitely on the high side, so be sure to pay it off every month. This card gives fair-credit cardholders a way to earn purchase rewards while they build credit, offering 1.5% cash back on every purchase. At the same time, the card’s annual fee means you’ll need to spend at least a few thousand dollars on your card each year to break even on the annual fee, so do the math before you apply. This card has the same high APR as its sibling above, so pay each bill in full. Nearly everything about this card will vary based on your individual application and credit profile, including the rewards program, the annual fee, and the APR. You can get an idea of your approval chances and potential terms by filling out Credit One’s pre-qualification application, which uses a soft credit inquiry that won’t impact your credit score. As most bad-credit consumers come to know all too well, having a bad credit score — usually considered to be anything below 580 — severely limits your personal credit card options. That’s because a bad credit score indicates a lot of credit risk, and risk makes card issuers (and most lenders) pretty nervous. If you have a low credit score and need a personal credit card, your choices will generally come down to a subprime unsecured card, a secured card that requires a deposit, or a closed-loop store credit card. Each type of card has its pros and cons, so compare your options carefully to find the best fit for your needs. In most respects, this is a pretty standard secured credit card. It doesn’t have many card perks, but it also has a $0 annual fee, and Capital One will periodically check your account to see if you can upgrade to an unsecured card. What does stand out about this option is its variable deposit requirements; the minimum required deposit will vary based on your credit, with the potential to get a $200 credit line for as little as $49. This is one of the very best secured credit cards on the market, and not only because it’s one of the few secured cards that offers purchase rewards — though it is. 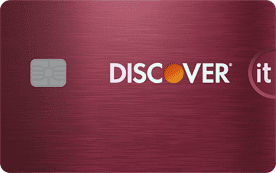 The card also has a low minimum deposit requirement, no annual fee, free monthly FICO credit scores, and the ability to be upgraded to an unsecured product after your credit improves. If you’re dead set against putting down a secured card deposit, then you’ll likely be looking at subprime unsecured cards. This pick is one of the lower-fee subprime options available, charging no processing fees and a variable annual fee. The APR is pretty competitive, especially for a subprime card, but you still won’t want to carry a balance if possible. When used responsibly, personal credit cards can be a fantastic way to establish and build your consumer credit profile. You only need a single active credit line reporting to at least one major credit bureau to start building a credit history, and after six months of reported payments, you could have your very own FICO credit score. The best personal cards for people with no or limited credit history will check a few main boxes, starting with be easy to qualify for and having no annual fee. Secured credit cards are a good way to go if you’re worried about being approved, and some secured cards even include perks like purchase rewards. One of the few unsecured starter cards from a major bank, this card is a bare-bones card designed to help you establish credit. The card charges no annual fee, which means you can keep it open to continue building your credit history even after you move on to bright card pastures. While it has no annual fee, it does have a high APR, so be sure to pay in full each month. Thanks to the cash deposit they require, secured cards are low-risk for card issuers, which makes them some of the easiest cards to obtain. 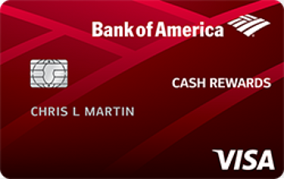 This card has a variable deposit amount that will depend on your specific qualifications. As you build credit, Capital One will periodically check your eligibility to be upgraded to an unsecured account. A full-feature secured card, this option has no annual fee and purchase rewards — something quite rare in a starter card. 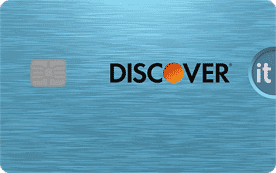 This card has a reasonable minimum deposit requirement that unlocks a credit line of equal size, and Discover will periodically review your account to see if you can be upgraded to an unsecured card. Who Can Get a Personal Credit Card? At one point in time, all you really needed to get a credit card was a pulse — and, sometimes, not even that. However, the CARD Act of 2009 introduced a number of new restrictions on who can get a personal credit card. No matter what else, you must be at least 18 years old to qualify for your own personal credit card account. But it’s not quite that simple anymore. If you’re over 18 but under the age of 21, you’ll also need to have either: proof of an independent income, or a cosigner over the age of 21 who has good credit. And, no, the weekly allowance from your parents does not count as an independent income source. However, if you’re also a student, you can typically count income from grants, fellowships, and some scholarships as income (so long as that income can be used for things beyond education costs). Even if you’re over the age of 21, you generally can’t get a credit card without a source of income. While the law doesn’t list a mandatory minimum income to qualify for a credit card, it does require that issuers ensure you have an income that is reasonably capable of handling the monthly payments for any credit line extended to you. In addition to meeting age and income requirements, most U.S. credit card issuers will require that you have a U.S. Social Security number and an active bank account. Some issuers may waive the SSN requirement — especially for foreign students — but few, if any, issuers will waive the bank account requirement. Choosing the right credit card can be a bit of a tricky process, and not just because there are so many options. Each cardholder will have their own spending habits, rewards preferences, and fee tolerances that will determine the best card for them. If you’re just starting to build credit — or are in the process of rebuilding your credit — then your primary concern is likely just getting approved. In general, the easiest credit cards to get will be those specifically designed for your current credit situation. For example, consumers with no or a very limited credit history should look at starter cards made for just that purpose. On the other hand, if you have bad credit from some past mistakes, a secured credit card will likely be the easiest to get thanks to the low risk secured cards represent for the issuer. Consumers who have good credit and don’t need to worry about ease of approval should generally focus on things like the card’s rewards, annual fee, interest rate, and secondary benefits. If you’re looking to make a big purchase, for instance, a card with a long introductory 0% offer will likely be the best fit. Those cardholders who are simply looking for a personal card for everyday spending generally base their new card decision on the rewards they can earn. Ideally, you want to find a card that will give you the best return on your spending for the purchases you make most often. For example, if a large portion of your spending goes toward eating out, then you should find a card that offers a high rewards rate for dining purchases. Similarly, if your commute means you’re constantly filling your car’s tank, then a gas rewards card can provide great value. Additionally, make sure the rewards you earn are a currency you’ll actually use. If you know you don’t have the patience to deal with rewards points that take time and effort to redeem for a good value, then perhaps you should stick with a card that provides cash back rewards instead of points or miles. What Rewards Can You Earn with a Personal Credit Card? Unless you’re looking for a new card for a very specific purpose — such as consolidating high-interest debt with a 0% APR offer — then chances are good your main point of comparison for a new personal card will come down to the rewards. While this may seem like an easy task, there are literally hundreds of rewards credit cards available. What’s more, those rewards cards can be highly variable, with significant deviations in the type of rewards, the earning structures, and how those rewards can be redeemed. Let’s start with earning rewards. In general, you’ll find three currencies for credit card rewards: cash back, points, and miles. That said, no matter what type of currency you wish to collect, your rewards card will likely be structured in one of two ways: flat-rate rewards or tiered rewards. Flat-rate rewards cards will usually offer a single, unlimited rewards rate for every purchase, regardless of the category into which the purchase falls. These types of rewards cards are good for purchases that may not fit into common bonus categories, or for consumers who don’t want to go through the bother of trying to maximize rewards. Tiered rewards cards, on the other hand, will have different rates depending on the type of purchase. Many tiered cards will still offer an unlimited flat rate for every purchase, but they’ll also have higher rewards rates for specific bonus categories. For example, a tiered rewards card might offer 3% cash back for gas purchases, 2% back for groceries, then an unlimited 1% cash back on everything else. Cards with tiered rewards systems are ideal for consumers who like to maximize their rewards, as it allows you to earn higher rewards rates for purchases you make frequently. So far as rewards currencies are concerned, cash back rewards are considered to be the simplest currency to earn and redeem, as they can typically only be redeemed for statement credit (or, in some cases, as a deposit into a qualifying bank account). Points and miles programs tend to be much more complicated, with a variety of redemption options and values that depend on how you redeem. The most sought-after points by credit card rewards junkies are the versatile bank-issued points that can be either redeemed for travel through an issuer’s travel portal or transferred to any number of hotel or airline loyalty programs. When you transfer points to a partner program, those points turn into branded frequent flyer miles or hotel points that can be pooled with the rewards in your existing loyalty account. Depending on the specific program, miles will typically either act like cash back — i.e. be redeemed as a statement credit for travel purchases — or they’ll act like points, with variable redemption options and values. Can You Use a Personal Card for Business Expenses? In the fine print of many business credit cards is language that suggests you should strongly avoid using your business credit card for personal expenses. And, some contracts go so far as to include a clause downright saying that you agree to only use the card for your business. But — what about the other way around? Can you use a personal card for business expenses? Say, for instance, when you’re out to dinner with a client and want to earn 4% cash back on the meal with your personal credit card? The short answer here is yes, you can technically use your personal card for business purchases without breaching your typical cardholder agreement. However, the more important question you should ask is, should you use your personal credit card for business expenses? Here, the answer is pretty much always a resounding “no.” Keeping your personal and business finances separate is one of the cornerstones of good business accounting. Having an independent credit card for your business expenses can make everything from payroll to taxes easier and faster. No matter how small your business, you can likely find a good business credit card that can help you earn on your expenses. Most credit card issuers won’t require you to have been in business for decades or to pull in thousands of dollars a month in revenue to qualify for a business card. One thing to keep in mind, however, is that you will need to have decent personal credit to get a business credit card. Most, if not all, issuers will check your personal credit reports when evaluating your business credit card application, and you can be rejected for a business card if your personal credit is poor. Long gone are the days when only the elite had the convenience of paying with a credit card. Today, nearly any adult who wants a card can likely find a good option for convenient purchasing — and, in many cases, valuable rewards. As simple as it can be to find a good personal credit card, however, it’s important to remember that you’re not just swiping your way to rewards; you’re also, hopefully, building credit. So, it’s important that you use your credit card responsibly to build credit the right way. Building good credit with a credit card starts with paying your bill on time — every single month. Your payment history can be worth up to 35% of your credit score, so every delinquent payment can mean significant damage to your scores. Ideally, you should also be paying your balance in full every statement period, both to avoid costly interest fees and to keep your utilization rate — the ratio of how much credit you use over how much credit you have — at a reasonable level.